One of the most difficult assignments for any newly contracted umpire is to come into the group and stamp their position within the group. We are finding that more and more young people are challenged by that and are coming in composed confident and willing to learn quickly to stake their claim within the list early. Field umpire Nathan Williamson won his second, best young field umpire of the year award after taking it out in his first year in 2017. 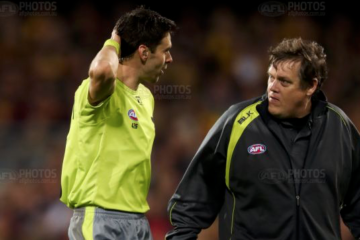 Nathan made the finals panel in both 2017, as an emergency umpire and in 2018 went one better umpiring his first final between Sydney and GWS. Nathan umpired 22 home and away matches and one final taking his two season tally to 45 games. A remarkable feat. Nathan is the first field umpire to taste back to back success since fellow West Australian umpire Luke Farmer achieved the same in 2007-08. Ex Tasmanian boundary umpire, Adam Reardon took out the Bill Sutton Medallion as the best young boundary umpire in 2018. Adam took the opportunity to relocate to Queensland to win an AFL contract and went from strength to strength. 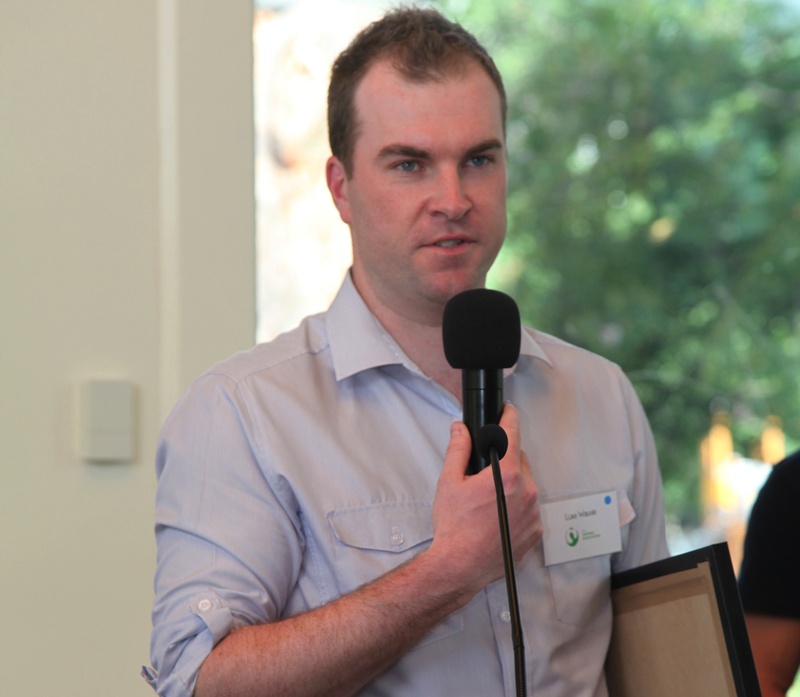 Adam umpired seven Tasmanian State League grand finals and took out the top boundary umpire award three times before getting his chance at AFL level. Adam umpired 18 home and away games in his debut season. Sam Walsh won his AFL contract as a goal umpire coming off a stellar VFL season winning Goal Umpire of the year awards in 2017. Sam was the recipient of the Brian Pratt medallion. Brian’s wife Val presented the award with the assistance of the 2017 winner Matt Dervan. In winning the award Sam thanked his family for their support and also the supportive culture within the goal umpire ranks.